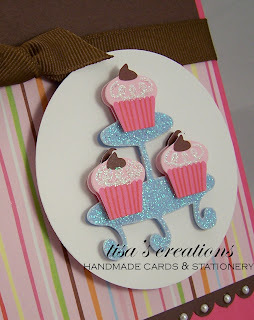 just my little mess: project #7 - Cupcakes Anyone??? project #7 - Cupcakes Anyone??? about this card...the patterned paper and sticker came in a 8X8 scrapbook kit - but you know me, I really don't buy anything to make a scrapbook page...it's about making a great card for me. 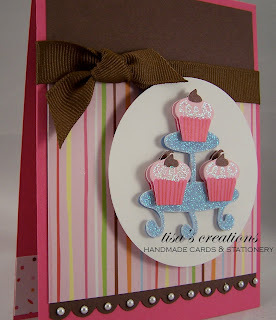 K & Company makes the scrap kit, it's called Birthday!